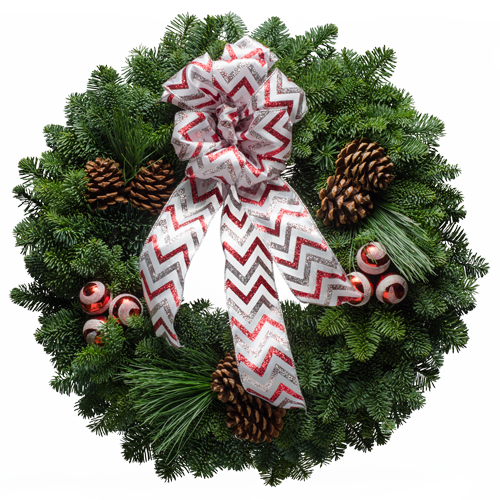 You�ll love the interesting geometric contrast of the red swirls on the ornaments and the red & silver chevrons on the taffeta style Christmas bow. There�s lots of glitter on this pretty fresh Christmas wreath. "I have been ordering your Christmas wreaths for many years and I have to say that this year's wreaths are just absolutely gorgeous. The wreaths as just wonderful!"